Abingdon Vineyards is entering the fall season with new owners along with a new vision for creating a hub of community events and activities. 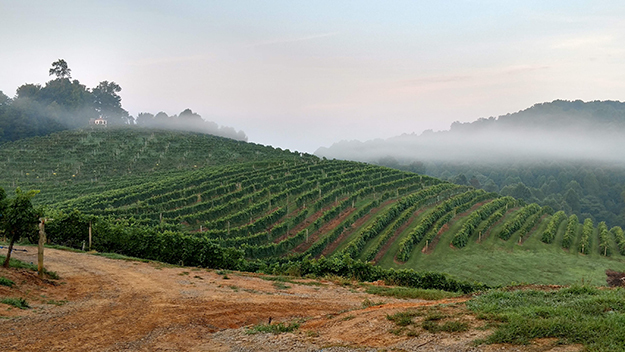 ABINGDON, VA – Abingdon Vineyards is entering the fall season with new owners along with a new vision for creating a hub of community events and activities. 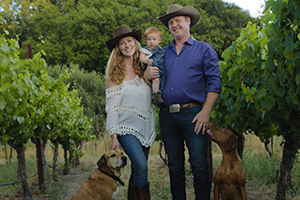 Elizabeth and Loren Gardner purchased the winery recently after relocating from Point Reyes, California. Vineyards. 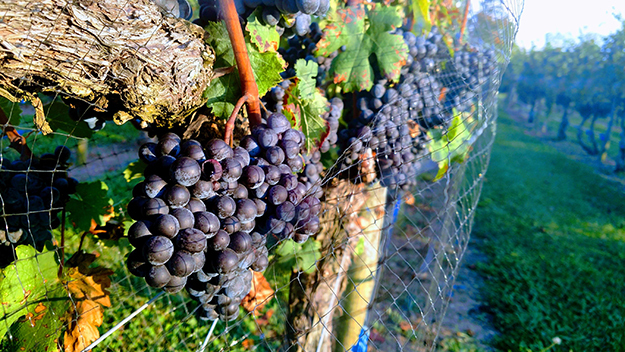 Photo courtesy of Abingdon Vineyards. The winery will be open year-round for tastings and farm tours, with regular live music and special events. Picnickers and Creeper Trail riders are welcome, and the tasting room will feature a deli case offering local cheeses, charcuterie and snacks. The owners also plan to host weddings, groups and corporate retreats. Regular hours are Wednesday through Sunday, 11am to 6pm. Abingdon Vineyards is located on 45 acres adjacent to the South Holston River in the tiny community of Alvarado, midway between Abingdon and Damascus. 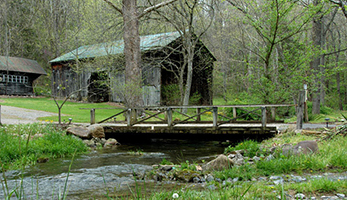 The winery is just a quarter mile from the Virginia Creeper Trail, making is a perfect stopover for bikers starting in Alvarado or Abingdon. Abingdon Vineyards (formerly Abingdon Vineyard and Winery) was started in 2001 by Bob Carlson and his wife, Janet, as their retirement project. They ran it well into their 80's and have now passed it on to the next generation of wine enthusiasts. Ready for harvest. Photo courtesy of Abingdon Vineyards. New owners Elizabeth and Loren plus baby Ava Jean and doggies Eli and Jackson are also known as the "Country Gingers." They stumbled upon a winery for sale when visiting their best friends who moved from California back to Virginia. They fell in love with the beautiful land, delicious wine and gracious community. Loren grew up in Napa Valley and has always been fascinated with the wine industry. He studied viticulture and wine making at UC Davis and built many wineries and vineyards with his construction company. He is thrilled to learn about a new terroir and new varieties of grapes. Elizabeth is passionate about food, art, nature and education. She is a Stanford graduate, Master Gardner, Certified Natural Chef and has a Masters in Education. She combined her passions with her business in Point Reyes, California - Food & Farm Tours (foodandfarmtours.com). She is looking forward to hosting events and bringing delicious artisan products into the winery. Abingdon Vineyards is open Wednesday through Sunday, 11am to 6 pm. Tastings are 4 for $5, 8 for $10, or a glass of wine $7. Picnickers are welcome during business hours. 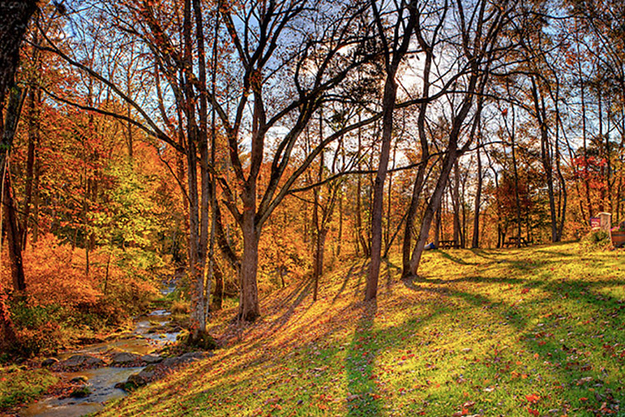 To reach the winery by car, take I-81 to exit 19 in Abingdon, VA, and head east on US Hwy 58. Turn right on Osceola Road (Hwy 722) and travel 9.5 miles, winery will be on your right. To reach the winery by bike from the Virginia Creeper Trail, exit the trail at Alvarado Station (mile marker 9) and head northwest on Alvarado Road for a quarter mile. Winery will be on your left. For more information, call 276-623-1255 or visit abingdonvineyards.com.